This Chinese model is getting publicly shamed for her freckles in a new untouched Zara ad. Dozens of normally loyal Conservative MPs could rebel against the government in a bid to prevent a “no-deal” Brexit, Downing Street has been warned. Leaders of the Brexit Delivery Group of both Leavers and Remainers say MPs may back alternatives if Mrs May’s reworked deal cannot command a Commons majority. Co-chairman Andrew Percy told the BBC more than 30 may try to block no deal. The government says “productive” talks in Brussels aimed at addressing MPs’ concerns continue “urgently”. Many MPs fear that scenario would be damaging to business and cause chaos at ports. However, Brexiteers in the European Research Group (ERG) of Conservative MPs insist the “no-deal” option must be preserved as negotiating leverage in Brussels. Mr Percy told the BBC members of his group were becoming “tired” of the ERG’s refusal to back the prime minister. They believe the main sticking point – MPs’ demands for changes to the backstop, the “insurance policy” to prevent the return of customs checks on the Irish border – will be secured. However, they fear it might not be enough to win over some Brexiteers. 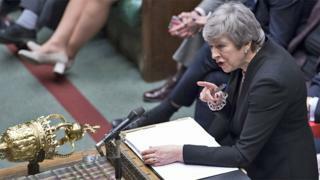 Their correspondence says “numerous members” of the group are prepared to back an amendment tabled by former minister Sir Oliver Letwin and Labour’s Yvette Cooper to both delay Brexit and prevent a “no-deal” scenario, when MPs vote again on Brexit next Wednesday. The group has previously remained “almost without exception” united behind voting for the deal, the letter points out. It urges the government to offer MPs a free vote, in which they are not obliged to follow party orders, to prevent them seeking alternatives such as a softer relationship with the EU or a further referendum. The prime minister is also under pressure from ministers, with BBC Newsnight political editor Nicholas Watt reporting that a number “are saying in private they would be prepared to lose their jobs” to be able to support the amendment. “The prime minister is taking no chances and is working hard to secure a revised deal with the EU by next Tuesday, the eve of vote,” he added. On Thursday, Mrs May held meetings with leading Remainers in her party who had previously complained of having their requests for meetings ignored. 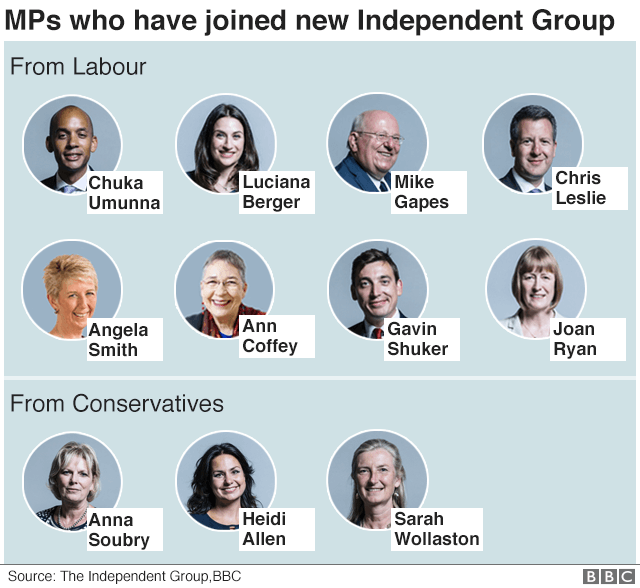 Justine Greening and Phillip Lee had been named as potential defectors to the new Independent Group by Heidi Allen, one of three Conservatives who resigned to join the new set-up. 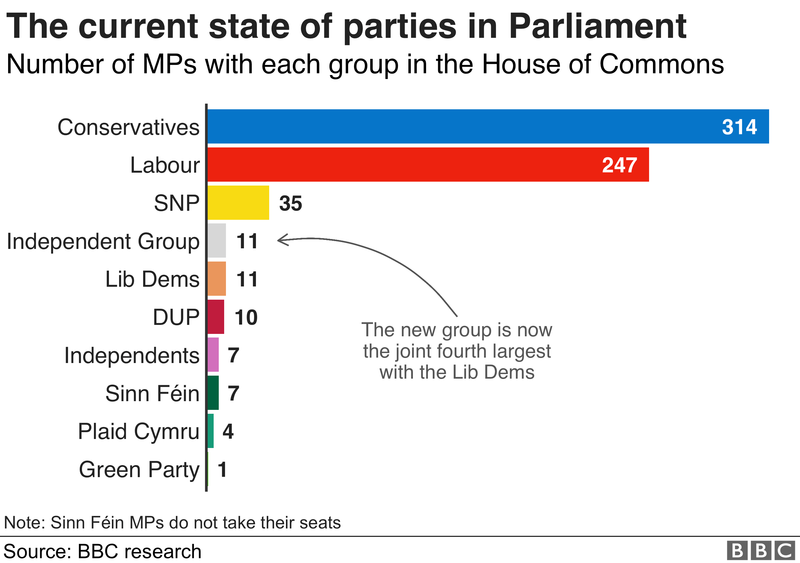 The leaders of both main parties are battling to prevent more defections after eight Labour MPs and three Tories broke away to form the new “centrist” group in Parliament. The Right to Vote group, which is chaired by Mr Lee, said afterwards that he had discussed the campaign’s calls for a pause in the Brexit process and a possible second referendum with Mrs May. “Talks were open and we are encouraged she listened to our case,” the group said. Mrs May also met cabinet ministers David Gauke and Greg Clark, who have recently warned of the dangers to business of leaving the EU without a formal deal. On Thursday, the government described talks in Brussels involving Brexit Secretary Stephen Barclay, Attorney General Geoffrey Cox and EU chief negotiator Michel Barnier as “productive”. 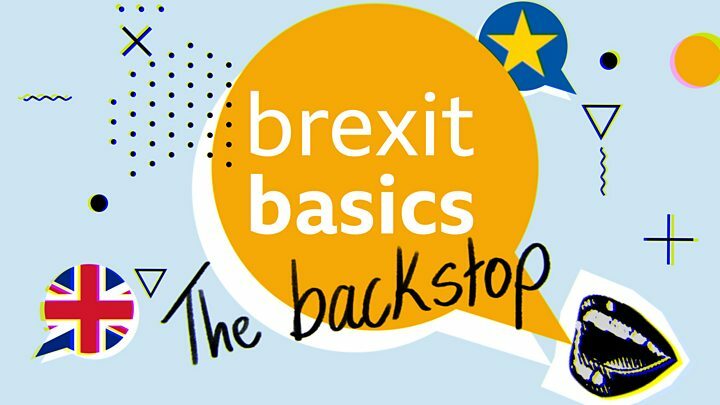 They focused on “guarantees relating to the backstop that underline once again its temporary nature and give appropriate legal assurance to both sides, as well as alternative arrangements and the political declaration (the document setting out future UK-EU relations)”, a government statement said. Mr Barclay and Mr Cox will meet Mr Barnier again early next week, it added.